When you are a Chicago building manager or owner, you need to know that your building is not only safe but up to Chicago fire safety standards. While you can try to learn the regulations on your own and keep up with all there is to know, why not consider hiring a safety company that specializes in just that? There are a lot of Chicago municipal codes that must be followed to keep your residents safe and yourself out of trouble. Working with a company such as Connected Fire Safety Services will help you do just that. 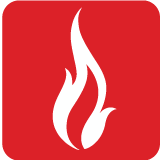 They keep you updated on all the changes in the fire safety codes in Chicago while making sure your building is always in compliance and up-to-date. Here are a few of the services you can take advantage of when working with Connected Fire Safety Services. Your smoke alarms and CO detectors do need to be changed out periodically and should be tested annually. The manufacturer will have a date on the unit that says when the alarm should be replaced to ensure it works properly. It can be overwhelming trying to remember the dates to change them out on your own. That’s where a fire safety company can help. They will keep them in check year-round to make sure there are no alarms that could pose a hazard to your tenants and property. Staying in fire compliance with Chicago codes is highly critical to avoid costly fines and time in court. These codes can and do change on a regular basis making them difficult to keep up with on top of everything else you have to do as a property manager or owner. You can have peace of mind that your condominium in Chicago is up to date and in compliance at all times when working with a safety company such as Connected Fire. Even if you change the batteries on a regular basis, the alarms can still malfunction. Working with a Chicago fire safety team can help you to make sure that all alarms are in proper working order. With a function test periodically, you’ll know if any units are damaged or need to be replaced. Making sure the alarms are in good working order is a huge part of the smoke and CO detector maintenance that cannot be skipped. There are certain areas that are required to have smoke alarms throughout a condominium in Chicago. It’s for the safety and protection of all your tenants and yourself. Working with a knowledgeable team such as Connected Fire Safety Services will make sure that all your stairwells, basement, electrical rooms, and elevator areas are covered. You must follow compliance with multiple alarms throughout the building. Contact Connected Fire Safety Services today to see how you can make sure your building is in compliance and well protected should fire break out.